Leigh Thompson, a management professor at the Kellogg School of Management at Northwestern University, conducted a study in which one group shared embarrassing stories about themselves, while another group shared a positive stories. Then, both groups were instructed to brainstorm for 10 minutes. People usually like a lot of natural light in their workspace. Do you? You might be surprised to find this research that proved dim lighting can improve your creative performance. 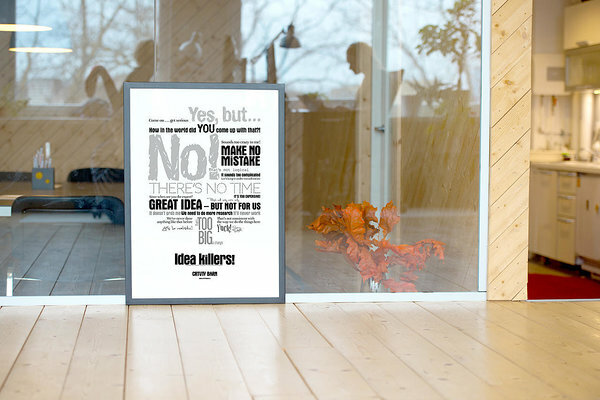 New ideas are the most vulnerable at the moment of their birth. An idea could be killed by just one ignorant shrug or a whiff of laughter. Even by silence. Let alone counterarguments. There is no time. Let’s stay within the bounds of reason. It could work somewhere. We’ll consider it. Who would do that? Yesterday we ran in an intensive educational bootcamp of Buildit Accelerator - a Business Idea Jenga Hackathon. Here you find the slidedeck of the event. Feel free to use and share :-). The Implementer is probably the Observer’s cousin – he also likes to constantly ask himself and others why we think what we think. As a implementer your job is to make ideas happen - for that, you’ll need to validate the Investigators best ideas and a plan of action. Read about all 4 roles here. 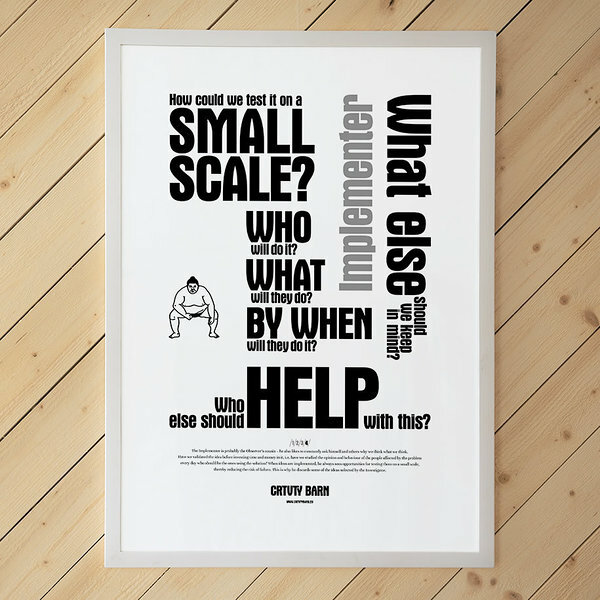 Buy the Implementer poster here. The Inventor has ideas. Lots of ideas.